I designed this wall quilt using My "Tea Party" fabric. 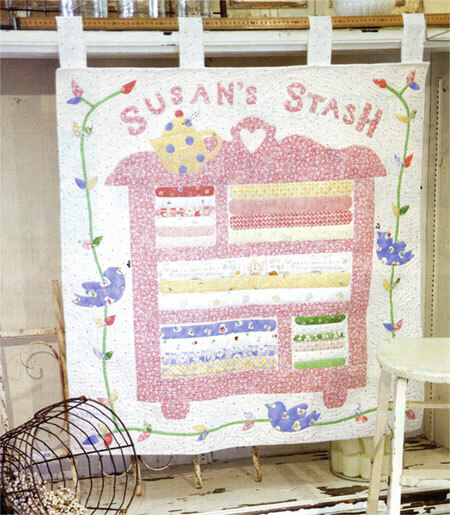 But with this pattern, you can make the quilt with your own fabric stash and scraps. Fun!Completed wall hanging quilt is 35.5" x 35.5".